You are currently browsing the tag archive for the ‘Goyomatsu’ tag. 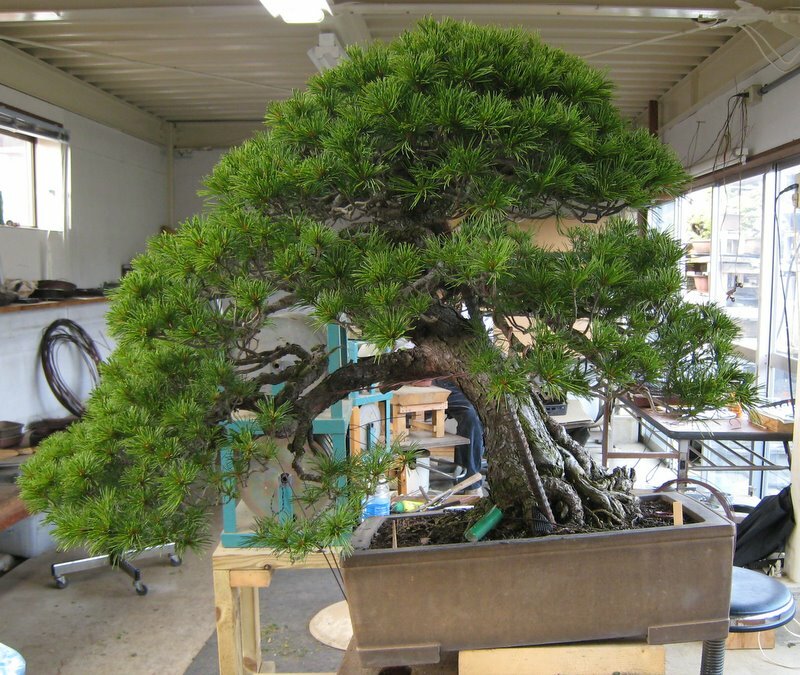 I just thought I would add a quick before and after of a large white pine I styled while at Taisho-en. It one of the largest trees i have worked on to date. 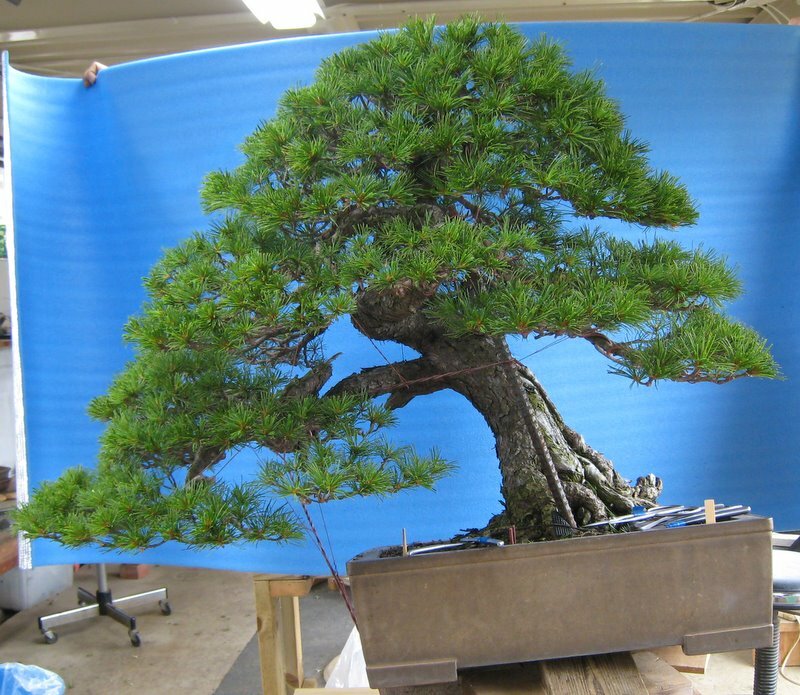 It had quite a good canopy of foliage to work with and some nice features such as the shari on the lower trunk and the interesting kink in the first branch. It was a big undertaking and took the best part of two days to fully wire. 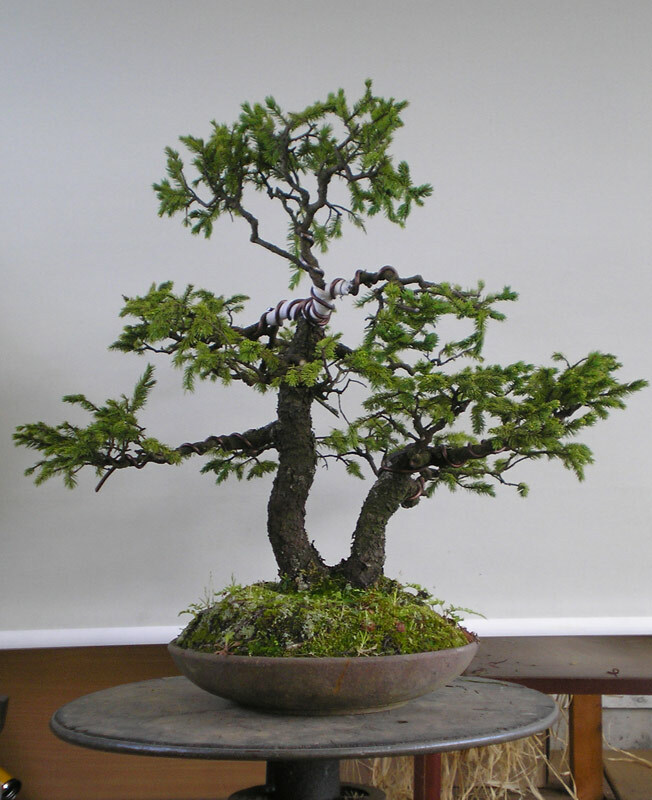 The planting angle was changed and the foliage was adjusted to suit. Some heavy bending was needed to compact the first branch as can be seen from the reenforcing bar next to the trunk. Working on large trees is a little bit strange. 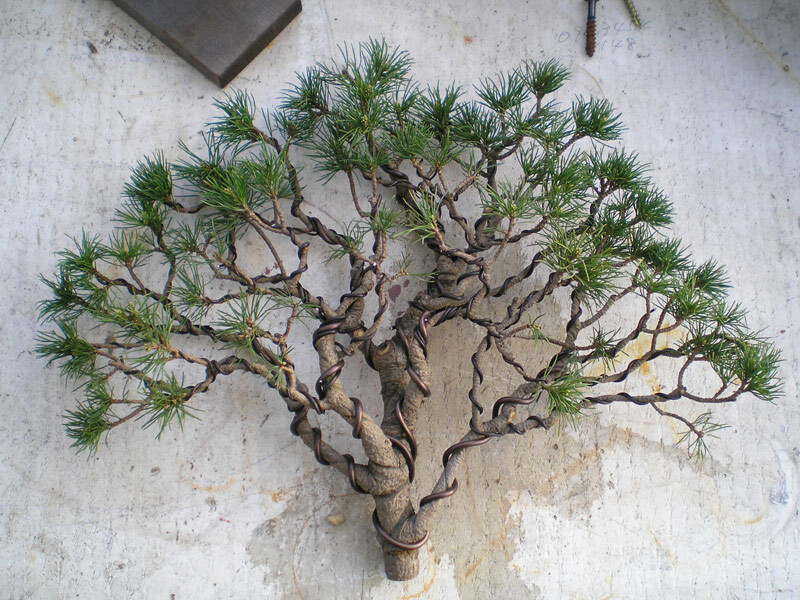 You have to work very closely to the tree in order to apply wire and position branches but due to their size you cannot get a true understanding of how it looks in connection with the rest of the tree. 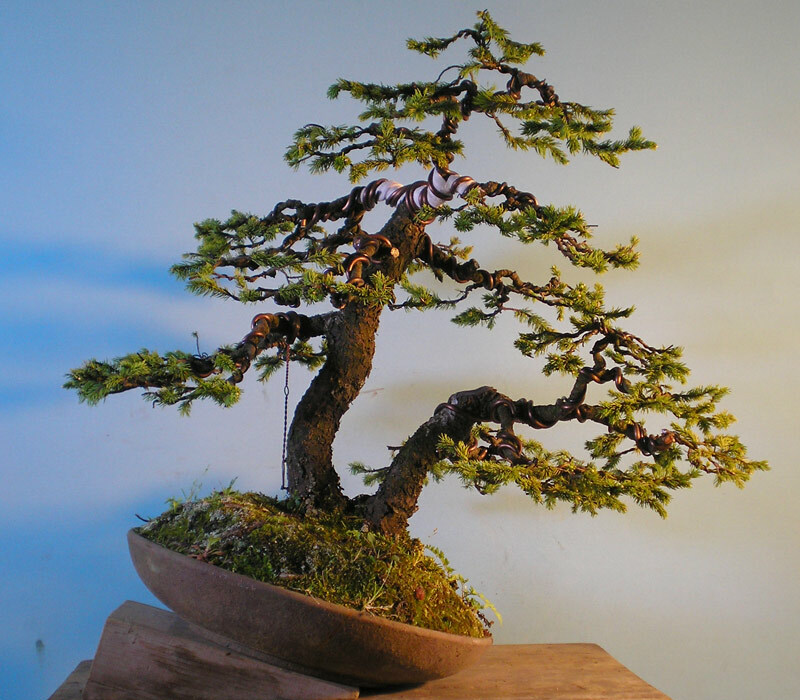 When working on smaller sized trees often all it takes to see the tree in the whole is just leaning back in your chair. When working on larger material you end up regularly walking a few paces away to look at what you have done in conjunction with the rest of the tree’s form. You can get an idea of the size of this tree by looking at my fingers at the top of the blue screen. I was holding the screen above my head with arms close to full stretch.